A lot of people came to the Sept. 8 East County Water Festival at Santee Lakes. Most of them were motivated by curiosity about plans to recycle wastewater for eventual use as potable (drinkable) water for the future. 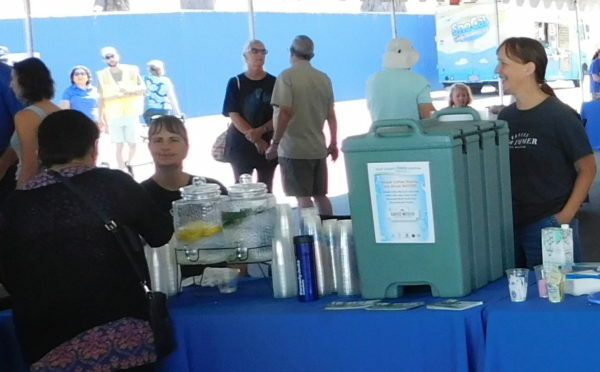 The festival was created and promoted by Padre Dam Municipal Water District, which provides water and sewer services for Santee and a number of other East County systems. 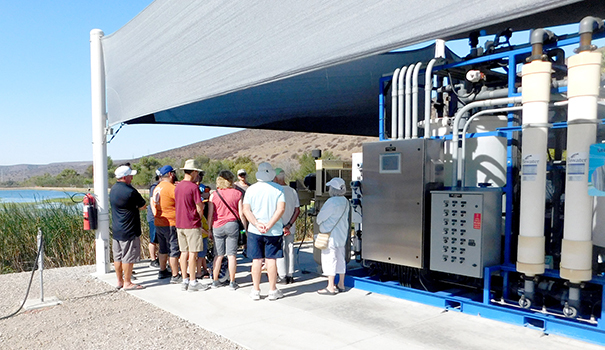 Currently, the East County advanced water purification demonstration facility, located at the north end of Santee Lakes, can provide 100,000 gallons of purified water daily — but the goal is much larger. Padre Dam has proposed building a new water recycling facility that would have a greater impact on the local water supply. By the time the proposed system is completed by the end of 2024 — if it is completed — Padre Dam would provide 18 million gallons per day, which figures out to be about 30 percent of East County’s water needs at that time. “If it is completed” is used advisedly. In the preliminary cost studies, the whole system computes out to cost about $500 million, all told. That is by any measure a lot of money. How much of that will come from ratepayers? That’s a good question. (Not everyone knows that Padre Dam, alone among county water agencies, has to buy every single drop of water it sells to customers. Padre Dam has no independent water source — no wells, no aquifer, nothing). And yes, this water starts out as what is often derided as “Toilet to Tap.” That phrase alone caused the city of San Diego years of grief trying to start up its own system. Opponents made that proposal into a frankly political fight with serious racial overtones. It took years to overcome that and kick-start San Diego’s efforts, which are now well underway. The technology has advanced by leaps and bounds over the years, and people seldom refer to it negatively anymore, because we all now realize that water is a finite resource. What we have now, in whatever form, is all this planet is ever going to get. People at the Water Festival didn’t seem to have any trouble with the source of the water to be treated. Rofiee Two says it’s caused a little debate at his house. So how will this work, assuming it’s actually done? Wastewater from all the areas Padre Dam serves will be treated at the new plant to be built — all solids and pollutants will be filtered out and disposed of. 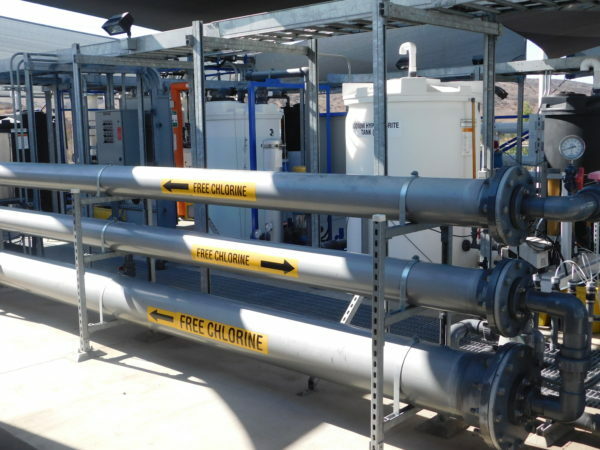 The purified water — and it will be tested constantly — will either be placed in an empty aquifer under Santee along with some imported treated water, and allowed to naturally exist as it does in wells everywhere, or it will be transported through an above-ground pipe system to Lake Jennings in Lakeside. From there, it will go through the Helix Water District’s water treatment plant for further treatment before going out to customers. The first thing that needs to happen is that a Joint Powers Agreement will have to be set up consisting of Padre Dam, Helix Water, San Diego County and the city of San Diego. So everyone is playing from the same rule book. Then, it’s time to start looking for money. So far, Padre Dam has acquired about $30 million in grants and loans. Only $470 million to go.